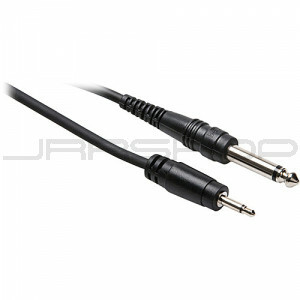 JRRshop.com | Hosa CMP-310 Mono 3.5MM (M) to Unbalanced 1/4" (M) 10 ft.
Hosa CMP-310 Mono 3.5MM (M) to Unbalanced 1/4" (M) 10 ft. This cable is designed to connect an electronic device with a mini mono phone jack to an electronic device with a mono phone jack. It is ideal for use as a flash synchronization cable.